My daughter Eliza has blasted onto the blogosphere with instant popularity. Regarding the name of her blog, I’ll say only OY, but check it out. One of many things she has nailed is the length of her posts. They are charming snapshots and observations of her new life in Beijing. I, on the other hand, can ponder a strand of hair for pages. So I thought today I would try a shortie, though it’s not anything like hers; it’s more like a tweet that I am trying to milk as a whole blog post. And, just look at me, I totally intended to write one sentence. I talk this way too and I think it drives some people crazy that I take forever to get to the point and somewhere on the path to the point I forget what the point is. If I were not trying to make this a short post I would observe how nary a day goes by that I don’t worry about what to do in the event of a terrorist attack, the kind in which you need to get out of town. I ponder the best routes and how would I get around the traffic from all the other Washington refugees. I know which neighbors would not open their car doors to me and Casey, who quivers and drools with terror itself when he is in a car. I will risk my life to get to my daughter Emily. Maybe I would bike with Casey bunjeed to the basket. Would we even survive outdoors on a bike? 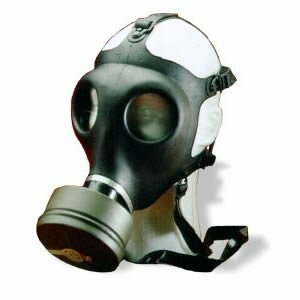 What safety measures have you taken in anticipation of chemical or biological attack (and can someone give me a way to remember the difference between the two?)? *Can Separate Bedrooms Save Or Destroy A Marriage? 2 Responses to "Blogging Life: Worried About Long, Trying Short"
I wouldn’t know what to do with a short post from you! 😉 I like the way you write and I can relate when you explain things to me, lol! Glad to hear Eliza is doing well! Chemical weapons – often referred to as gases – suffocate the victim or cause massive burning. Biological weapons are slower acting, spreading a disease such as anthrax or smallpox through a population before the first signs are noticed. Wow, Linda, thanks and thanks! I seem to remember for one you go upstairs and for the other you go into the basement.